As we age, our bone quality decreases. This is especially prevalent in postmenopausal women. 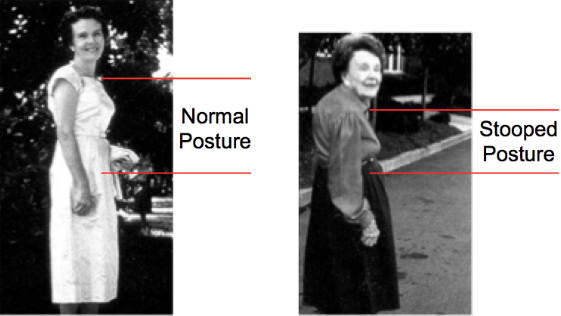 Loss of bone density is called osteopenia and in severe cases is called osteoporosis. 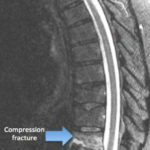 This may lead to fractures in different bones, but most commonly in the spine’s vertebral bodies. 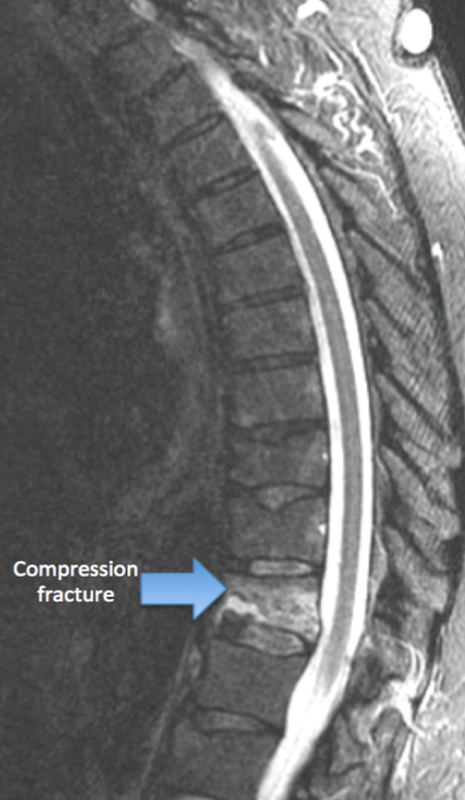 Osteoporotic spine fractures will heal with time. However they can lead to a “stooped” posture and prolonged pain. 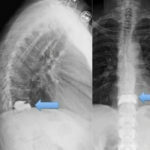 Usually the initial treatment is bracing, and medication called Calcitonin, and time. However if this fails to improve the pain and immobilizes the patient, then a procedure can be performed called a kyphoplasty. 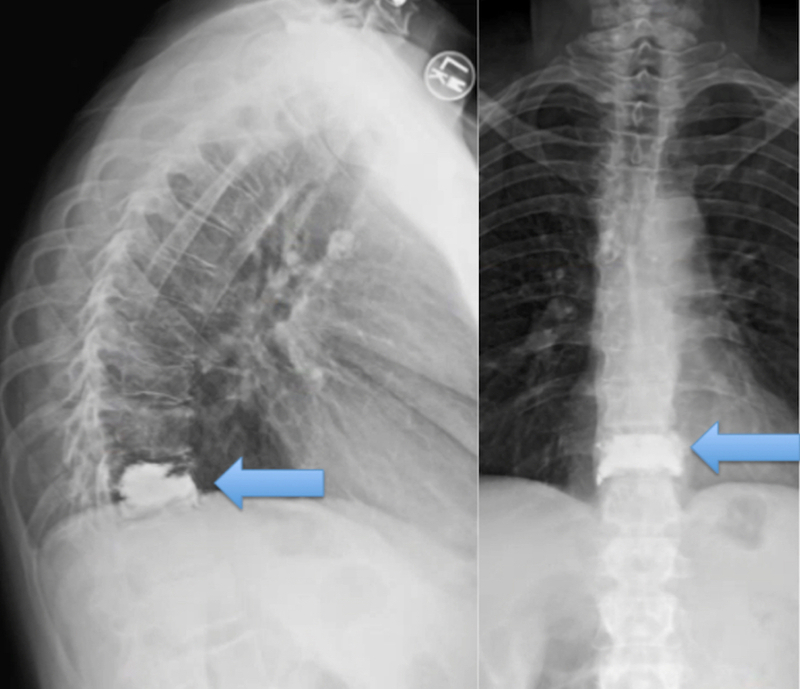 A kyphoplasty procedure is still an operation. Usually two small incisions are made. 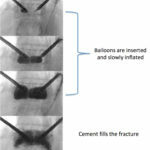 Balloons are inserted into the fractured bone and are slowly inflated to stabilize the bone and improve the height of the fracture. 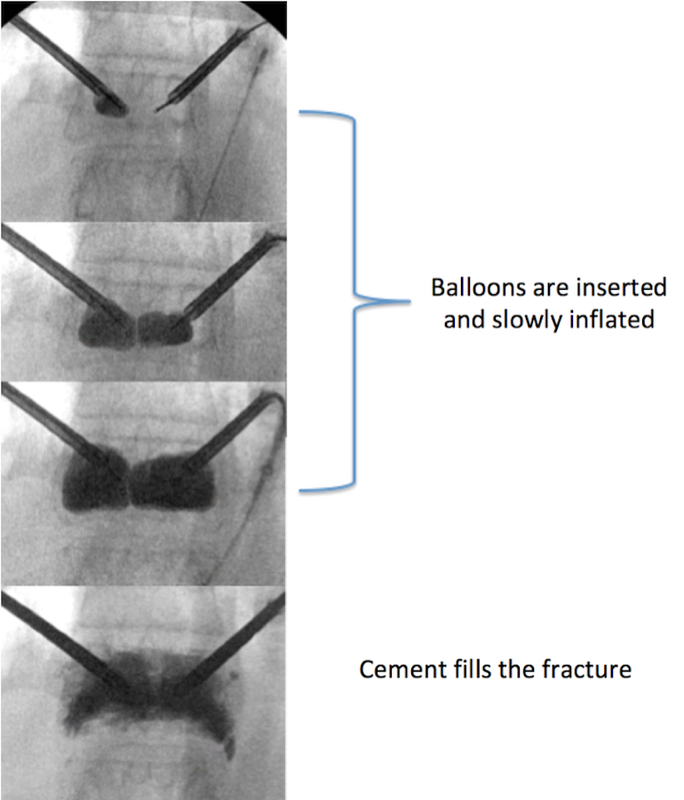 Once the height of the fracture is improved, cement is inserted, which stabilizes the fracture. Pain is fairly immediately improved. 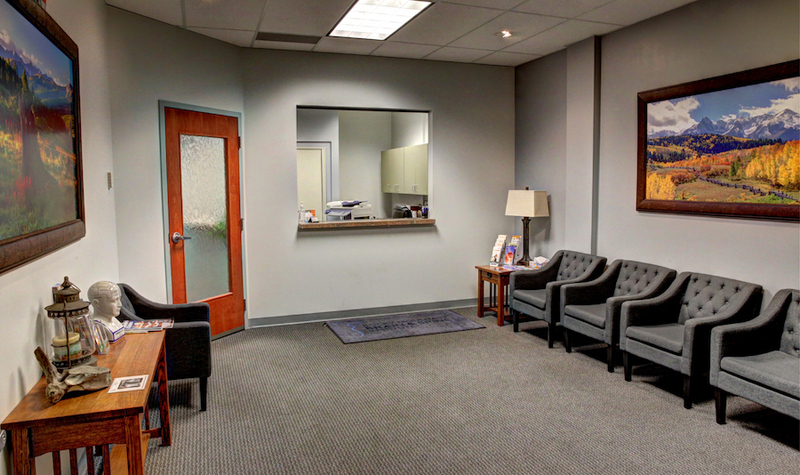 A kyphoplasty procedure is usually an outpatient procedure. The pain is fairly immediately improved.